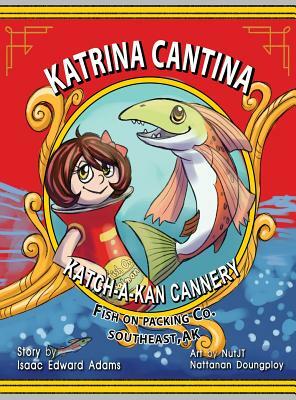 This book is about a little girl who is a can of salmon, named Katrina Cantina. She indirectly becomes from friends with a puny sized spunky pink salmon fish who is very tough and they meet in the most interesting way. They both decide to change their fate as a can of salmon and a fish living in a fish cannery. They decide that its more important to live beyond what they can only see. They decide to take their place in the circle of life not knowing what fate awaits them. Katrina wants to be reconnected to her father.. She desperately wants to know what it is to have adventure. Pinky salmon changes his mind about feeling honor toward being canned and decides swimming free is a better choice.